When the computers (hosts) on the Internet is getting more and more, and thus the growing list of HOSTS.txt. The solutions used in the early stage of Internet was not more suitable. 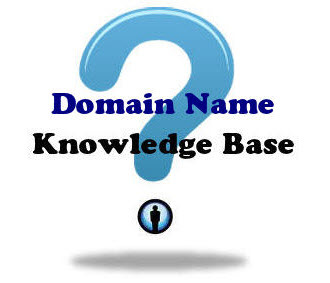 In view of this, Paul Mockapertris design designed a system to manage the domain names on the Internet. The system is called Domain Name System, or DNS in short, in 1984. The information (mainly domain names and their corresponding IP Addresses) of hosts (computers) on the Internet is saved in the Domain Name Servers. The Domain Name Servers are distributed widely on the Internet. When your computer need to connect with a host on the Internet (e.g. MyGreatName.com), you only need to enter the Domain Name (e.g. MyGreatName.com) in the URL of browser. Your computer will then contact the configured or default Name Servers (usually your ISP Name Server), asking for the IP Address of the host (e.g MyGreatName.com). The Name Server will then tell your computer the IP Address of the query host. Once your computer get the IP Address of the host, your computer can then communicate with the host. Each Name Server have to save the information of ALL hosts on the Internet. If a Name Server forget to update the information, many new domain names will not be found! To guarantee that all new domains are activated on the Internet, the information of all Name Servers must be updated. This may take 2 - 3 months! How to guarantee that all Name Servers are updated on schedule? The above procedures only show the basic concept of DNS. We will discuss the actual working model of DNS in next chapter.